In my last Taissumani article, I recounted the sad life of Minik, who was taken to New York as a young boy in 1897 and spent the next 12 years there. While still a child he learned of the mock burial of his father, Qisuk, by officials at the American Museum of Natural History, and it traumatized him forever. He tried to get his father’s remains released for burial, but he was never successful. For almost a century, Qisuk’s bones, and those of Nuktaq, Atangana and Uisaakassak, remained in a box on a shelf in the museum under accession number 99/3610. In 1986, with the publication of my book Give Me My Father’s Body: The Life of Minik, the New York Eskimo (now republished simply as Minik, the New York Eskimo) the museum was embarrassed. It had succeeded in covering up the story of Minik and its treatment of the remains of Qisuk and his fellow Inuit for the better part of a century. But coverups would no longer work. Periodic newspaper articles about Minik and the bones of his father reminded the public and the museum about the story. In particular, a front-page article in 1992 in The Globe and Mail and another in The Washington Post reminded them all over again of the injustice that had been done. This time the interest in having the bones removed from the museum remained high. Since 1986, things had changed in the conservative world of American museums. Native Americans had made progress in forcing museums to deal appropriately with the remains of their ancestors. In 1990 the Native American Grave and Burial Protection Act was passed. Under that legislation, American museums are required to return skeletal remains to native groups that request them and have a valid claim on them. Qisuk and the other Polar Inuit, however, were not covered by this legislation. They were Greenlanders, not Americans, and the American Museum of Natural History was under no obligation to send their bones to Greenland or anywhere else for burial. But the museum authorities had had enough. On July 28, 1993, the bones of the four Polar Inuit were loaded aboard an American military transport aircraft at Maguire Air Force Base in New Jersey and transported to Thule Air Base in northern Greenland. The journey that had taken over a month in 1897 was accomplished in a few short hours. At Thule, the cargo was transferred to a Greenlandair helicopter for the trip to Qaanaaq, less than an hour away. 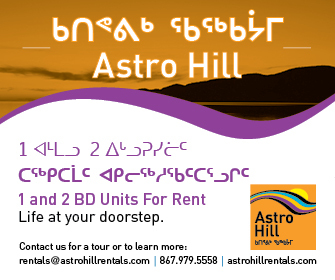 Officialdom almost had one last surprise for the souls of the four returning Inuit. The Lutheran Church had initially decided that, because the Inuit were pagans and unbaptized, they could not be buried in a Christian ceremony. That decision, however, was quickly reconsidered, and the bodies were received at the small church in Qaanaaq. On August 1 the bodies, each in its own small casket, were placed in a common grave in hallowed ground on a hillside with a splendid view of the sea to the west. Rocks were piled on top of the grave in the traditional manner. In the presence of about 100 local residents, a brief service was held at the graveside. Three people spoke: the clergyman, Hans Johan Lennert; the mayor of the community, August Eipe; and Edmund Carpenter, a self-serving, egotistical representative of the American Museum of Natural History. “Museums of natural history were founded on the belief that all life belongs to a common order subject to common principles. There is the further belief that science can contribute to human betterment. To this end, scientists gather information from many lands. “Visited?” “Contributed?” These were not the sentiments that the mayor had just expressed on behalf of the community of Qaanaaq. For Carpenter, then, it was all right. The ends justified the means. Four Inuit died agonizing unnecessary deaths, but science—perhaps all of mankind—benefited, and to him that justified the unwilling sacrifice they had made. A plaque was provided for eventual erection at the gravesite. 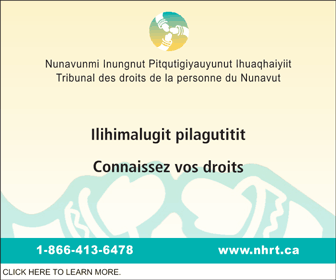 It began with the terse statement, nunamingnut uteqihut. 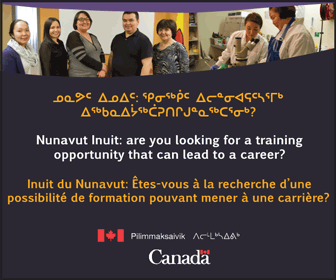 It translates simply as “They have come home.” This statement is followed by the names of the four Inuit with details of their births and deaths and the statement 1897 new york-imut, 1993 qaanaamut. 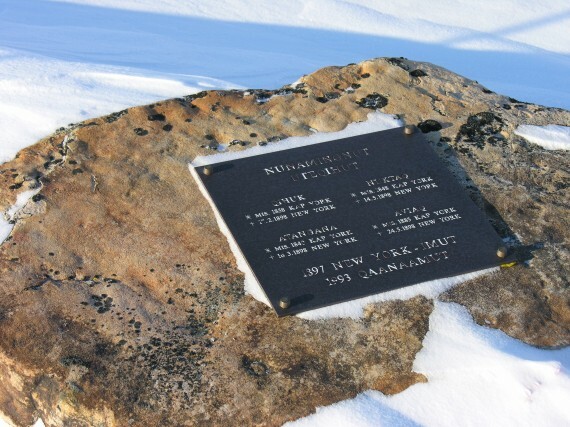 On August 4, 1997, 100 years after Qisuk, Nuktaq, Atangana, and Aviaq left the Thule district for New York aboard the Hope, and four years after the return of their remains to Greenland and their burial in the graveyard at Qaanaq, the memorial plaque was finally placed over their common grave. Queen Margrethe of Denmark and her husband, Prince Henrik, attended its unveiling in a touching ceremony presided over by the mayor, Lars Jeremiassen, who spoke of the community’s wish to honor their forefathers who loved their living and grieved their dead.